The olive tree (Olea europaea L.) is a very important plant in terms of oil-producing crops in the Mediterranean basin. As reported by Zohary and Hopf (1994), olives probably originated in the Eastern region of the Mediterranean area. All of the ancient civilizations of the Mediterranean area used the olive tree and its olive oil, which was also integrated into the religious practices of all the “known religions” of the region with implications of peace, fertility, strength and purification. Nowadays, olive trees have spread to many countries in the world and adapted to the varied microclimates that characterize the different areas. The cultivation of the olive tree have expanded in Asia, America and Oceania due to the promotion of olive oil as a product with both nutritive and beneficial effects on health. Currently, the world olive fruit production is around 19 million of tons, of which 90% is consumed as olive oil and 10% as table olives. The beginning of this book is devoted to the historical roots of olive oil production, in order to produce a picture of the ancient empirical olive cultivation and Italian institutions that have allowed the scientific and technological knowledge of olive cultivation to prosper from the 18th century to the mid-20th century. Olive tree biodiversity is estimated to have more than 1,200 cultivars, which is a very wide germplasm. 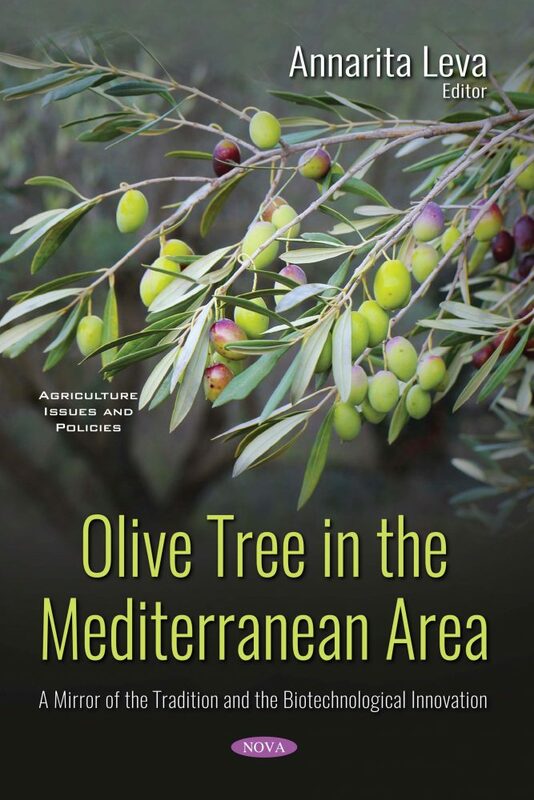 In one of the chapters of this book, the botanical and historical origin of the olive tree and the morphological and genetic methodologies applied to identify the olive cultivars are examined. Moreover, the importance of preserving the large olive tree germplasm to avoid the loss of cultivated biodiversity is mentioned. The importance of the germplasm collections, their management and enhancement are reported in a chapter in terms of the strategies for the ex situ conservation of plant genetic resource. Development in the world of olive groves requests not only the choice of suitable germplasm for the different environments, but also the production of olive plants in the nurseries. A chapter describes the most important propagation techniques such as grafting and cutting, and in particular the micropropagation that may represent a thriving business for nurseries. The last chapter explores an important aspect of the olive oil production chain, which produces a large amount of by-products like humid pomace and wastewater. These by-products have represented for several years an environmental problem due to the presence of high polyphenolic content and minerals. In recent years, a new approach is taking into account strategies and technologies for the valorization of these by-products, which would be transformed from waste materials to resources. This book could be interesting for the nursery industry (entrepreneurs which propagate plants), agrobiotechnological industry (commercial laboratories for producing in vitro microplants), cosmetic industry related to growing demand of natural products or food industry (polyphenols –antioxidants- as natural stabilizers of foods).